The Champion Golf Zipper Pack features zipper pack with ball markers, tees and divot repair tool, Customizable with your brand logo. 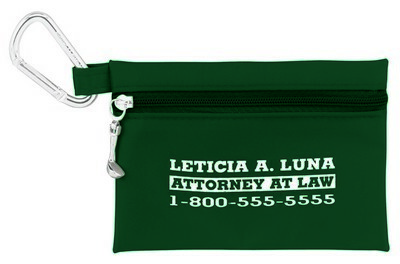 Our Champion Golf Zipper Pack can prove to be a successful handout at your next company event! This zipper pack includes 8 imprinted tees, 2 ball markers and one divot repair tool. This promotional product features a zippered case made of PVC vinyl in variety of color choices. 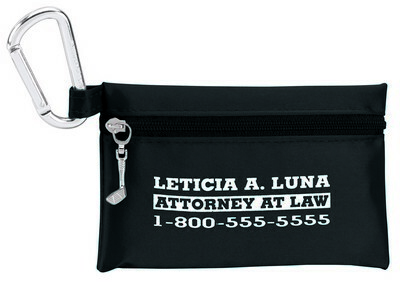 It comes with a metal carabiner that can be hooked easily to any golf bag. 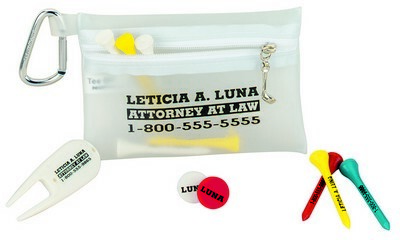 All the components in this kit can be customized using the imprint area available. 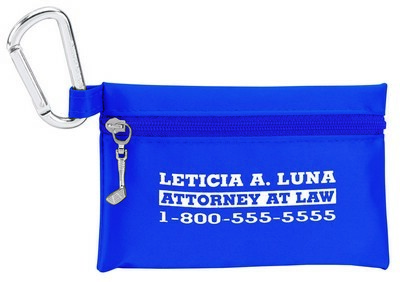 Give your business the edge with this customized product at the next promotional event or trade show.